I'm an expert with low back, hips, legs, glutes, shoulders & neck. I've worked with The Philadelphia Flyers, and Boston Bruins hockey teams, and at The Ritz-Carlton Hotel. I bring a lot of experience and...More knowledge to the table. I'm very confident in my abilities, and I love helping clients achieve results they may not have experienced with other bodywork. I look forward to expanding my LGBT clientele & working with you soon! 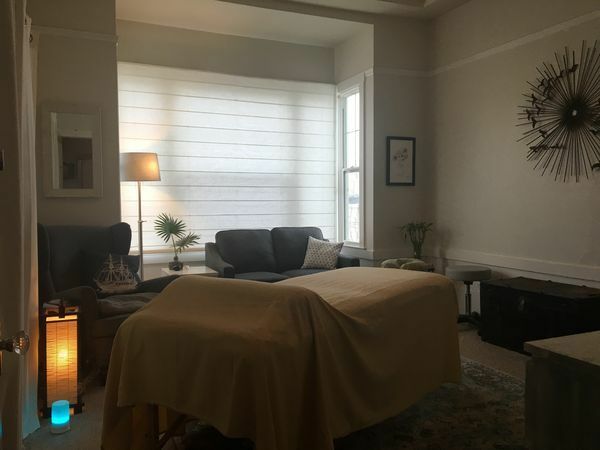 Gathered by Garrett from admiring massage clients to share with you. I found Garrett on this site while he was visiting my area and decided to treat myself. I’m so glad that I did! I drive a lot and tend to hold tension in my neck, shoulders, lower back, and hips. Garrett was able to address these issues with techniques I haven’t experienced before. If you’re looking for a “lazy” massage, keep looking. However, if you’re willing to interact with him the results are phenomenal!! He’s a very sweet & down to earth guy & easy to talk to. I highly recommend taking advantage of the 90-minute option.